Your baby's first year will go by in a flash. From counting their tiny fingers and toes to cheering for them as they learn to walk, it all happens so fast. 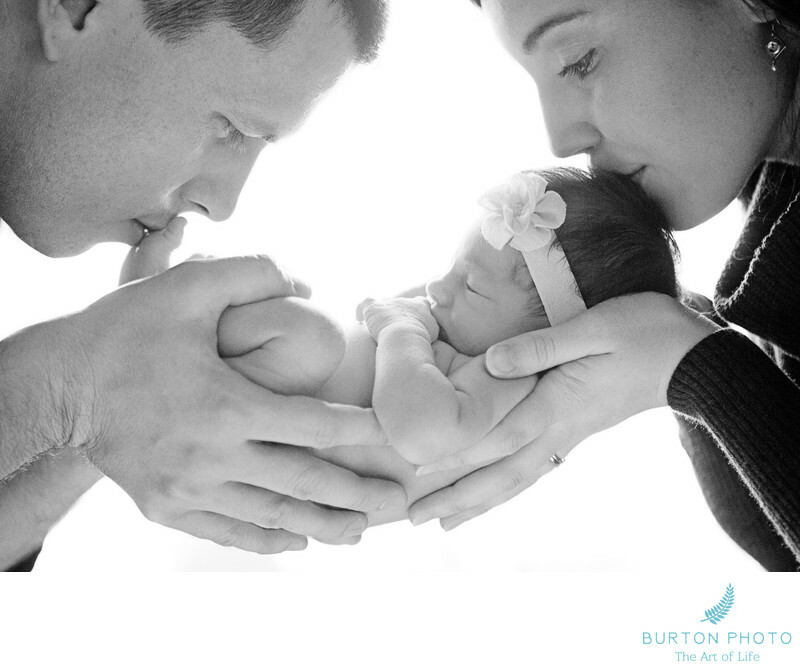 Working as a team, Jonathan and Bonnie will create the portraits that will help you remember your child as a precious newborn, a smiley baby and their entry to toddler-land. After the third session is completed, we'll combine your favorite images from your sessions to design a gorgeous leather-bound, first-year album. 8x8" Custom designed leather bound album holding twenty of your favorite images from your three sessions (value of $950). You'll make three payments of $380 (due 1 week before your session date) for a total of $1140 (add NC sales tax to the third payment). You'll save $410 off our normal session and album prices! 20-40 proofs (from each session) to choose from at your proof viewing/ordering appointment - normally ready 10-14 days after the session. 4x6" spiral bound proof book with lightly watermarked proofs from each session. Custom Album APP for your mobile device with a select number of your favorite, lightly watermarked images for sharing on social media. You'll receive an Album APP from each session. Burton Photography is a full service photography studio and offers a variety of professionally created products from your session images. Wall portraits begin at $210, table top prints begin at $30, Fine Art Albums, Portrait Boxes, Custom cards are all popular products! If your purchase is $2000+ we will provide complimentary digital copies of any images that you purchase upon request (printable up to 8x10”).